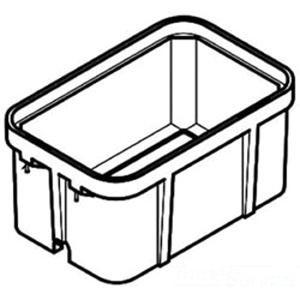 Quazite PG Series Rectangle straight underground concrete box in concrete gray color, measures 48-Inch x 30-Inch x 24-Inch. It comes with standard open bottom. This concrete box features precast polymer concrete fiber reinforced construction. It is stack mountable. It has straight sides for easy adjustment of box to grade. This concrete box is suitable for any application requiring easy access to an underground service. Concrete box is UL listed.